Flotilla to launch from Gaza tomorrow aiming to ‘return’ to Israeli territorial waters. 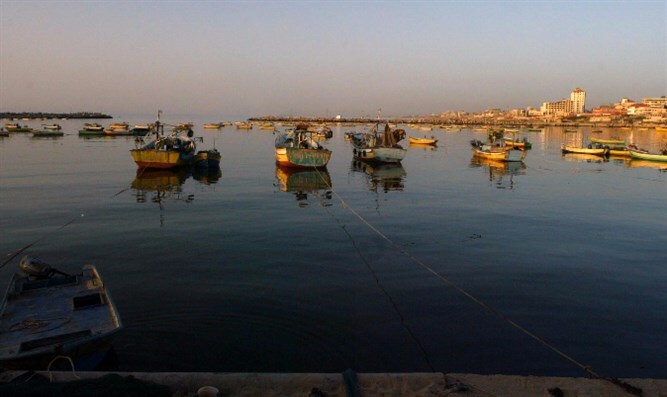 The first ‘Return Flotilla’ is expected to leave Gaza on Saturday for Israel’s territorial waters in an attempt to break the naval blockade imposed on the Gaza Strip. The flotilla is organized by an organization called the National Movement to Break the Siege on Gaza, which takes place simultaneously with the Friday demonstrations held along the Gaza Strip border. The Hamas political bureau, the supreme body of the Hamas leadership, convened last week in the Gaza Strip to decide to continue the return riots on the Gaza border and the “popular struggle” and “unpopular” against Israel. Various forms of terrorist activity are included under the heading of “Popular Struggle,” including stone-throwing, stabbing, burning, the launching of incendiary kites and balloons, and other forms of violence. In February 2010 Hamas sent explosive barrels into Israel’s territorial waters. One of the barrels was swept ashore in Palmachim, 8 miles north of the Gaza Strip.